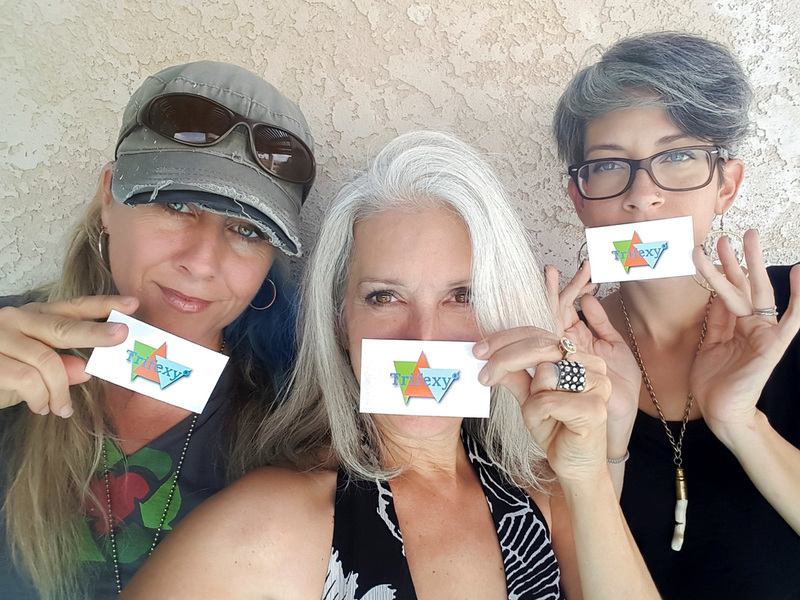 Near the end of the year 2015, Paula Rice, forward-thinking owner of Twisted Artist Gallery in downtown Las Vegas, approached artists Omayra Amador, Kim Johnson, and Nancy Good about a creative collaboration. Being big fans of each other's art and souls, these three artists happily embraced the suggestion and Trifexy was conceived on March 29, 2016. But how to begin? With quite divergent styles and approaches to their art, plus very busy solo careers, there needed to be a way. And a way indeed was found. To find out how the artists addressed this challenge, visit our Press and News page. The results were born on October 6, 2016.